The Kruger National Park is South Africa’s largest game reserve. It covers an area of 19,633 square kilometres and located in the provinces of Limpopo and Mpumalanga in northeastern South Africa. The Kruger National Park offers a wildlife experience that ranks with the best in Africa. It is therefore not surprising that it is one of the top tourist destinations in South Africa. 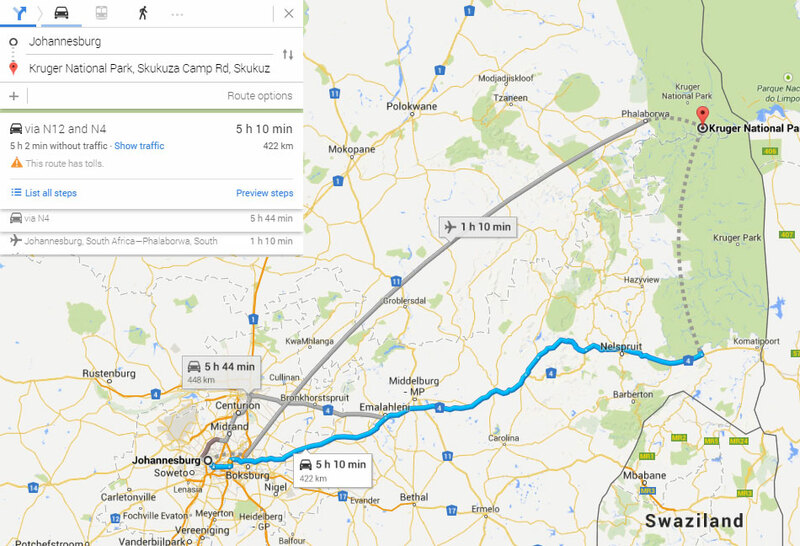 If you are planning to visit the Kruger National Park and you live in Johannesburg, it is a good idea to book a shuttle service from Johannesburg to Kruger National Park as the Distances to the Kruger National Park from Johannesburg/Pretoria is aprox 425 km to the southern gate and 520 km to the northern gate and takes about 6-8 hours drive each way (not all roads are highways and some are dirt roads). Catching a shuttle to Kruger Park will make your whole travelling experience easier, as it saves you the hassle of having to look for parking, as well as the fact that travelling far distances can take a toll on your vehicle. When deciding on a shuttle service to Kruger Park, you need to make sure that you choose a reliable shuttle company who are familiar with the route, and you also need to make sure that you book in advance. Various companies offer packages which may include group bookings, as well as personal/private transfer from Johannesburg to any part of the Kruger National Game Park or any private Game Parks and Lodges. If you live outside of Johannesburg and are looking to travel from Johannesburg airport to Kruger National Park, shuttle services can pick you up directly from the airport, taking into account the time it takes to collect your luggage once your flight has landed. Most shuttle service providers operate in accordance with a strict schedule so customers must ensure that they do not miss their booked shuttle. As an alternative to using a shuttle service from Johannesburg to Kruger, people often opt to make use of a taxi from Johannesburg to Kruger National park. However, using a taxi service is usually a lot more expensive than using a shuttle service, and unfortunately not as safe in many cases. Also, shuttles are often driven by knowledgeable local drivers who are able to provide insights into the attractions of Kruger National Park, as well as advise passengers on any terms and conditions regarding safety once you have arrived. For our low rates to the Kruger National Park camps please use our online pricing calculator and choose the “Tours” option.